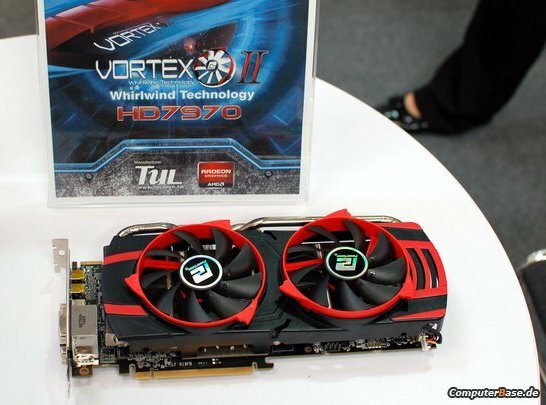 ComputerBase spotted PowerColor's Radeon HD 7970 Vortex II at CeBIT. This card will have a 1100MHz core (175MHz overclock) and an overclocked memory clockspeed. The cooling solution features four 8mm heatpipes, a large heatsink and two fans.